After KFC Malaysia re-launched the sinful Zinger Double Down burger, KFC Singapore plans to do the same by bringing back an old-time favourite, but the only problem is, it is not what we think it is. On 14 August, the fast food chain posted a silhouette of a pretty obvious-looking burger which got everyone really excited. 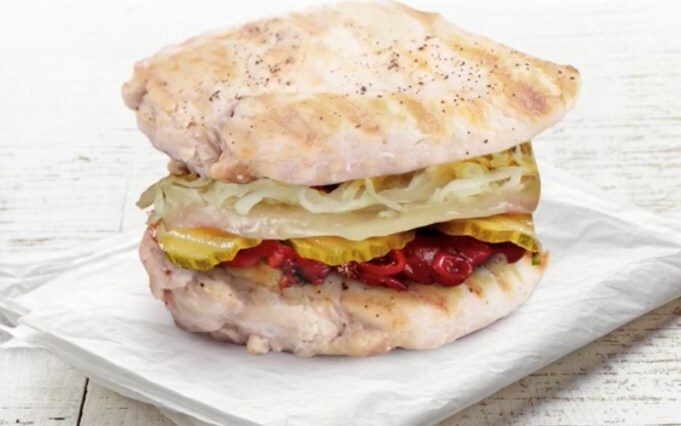 But yesterday, it was revealed that the burger which everyone had anticipated turns out to be the guilt-free, healthy version of the Zinger Double Down – and boy, was everyone disappointed! While it’s true that a lot of people are into eating healthy these days, and many cafes and restaurant are putting in effort into serving healthier food options, but KFC is definitely the last one that should jump onto the bandwagon. Because the abbreviation for KFC is Kentucky FRIED Chicken, so all of their meals and specials have to be FRIED – it’s their specialty! Isn’t it?? Colonel Sanders’ recipe of eleven herbs and spices weren’t meant for steam chicken – it just doesn’t work that way! Anyway, the Singapore version of Double Down is called Double Steamed Chicken, which consists of two steamed chicken fillets, filled with sauerkraut coleslaw, spicy pickled cucumber and sambal honey sauce. We’re not sure when will KFC Singapore release this product to the public or will they even dare to carrying out the sale seeing all the angry outcry and negative feedback received from netizens. I think everyone knows that KFC is extremely delicious! Maybe its because of their secret list of 11 herbs and spices, who knows? :) I advise you to read this post in order to find out some useful information about MyKFCexperience Survey. It is carried out by the company to get honest customer feedback.